This is a cabinet I purchased 2 weeks ago and I am now trying to find more information regarding its age and species of wood used. The frame of cabinet looks to me made out of a lighter black dyed wood while the carved doors are made of a naturally darker wood. I think the cabinet is made of Hongmu wood or a combination of Hongmu and zitan. Nice find! Your photos show clearly that zitan was used in your cabinet. However, I can not tell if hongmu was also used as well. The difference between the two woods is fairly easy to determine - take a cotton ball or cotton swab (Q-tip), dip it in some denatured alcohol, and wipe whichever section of the cabinet you wish to test. 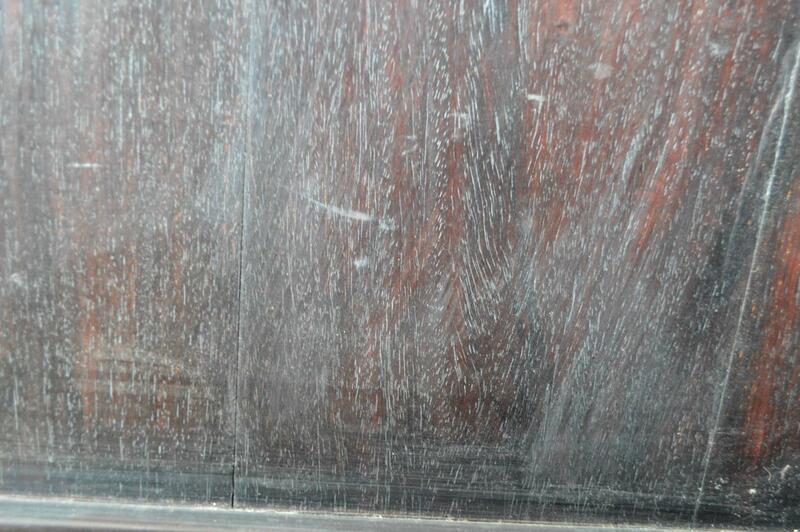 The black patina of zitan is actually dried red dye that the wood precipitates over time, and will turn the cotton red. 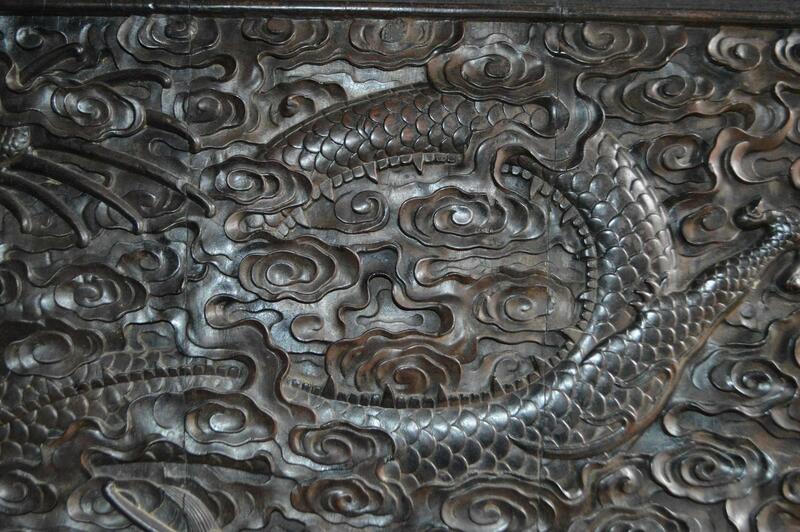 Hongmu also can obtain a black patina, but it will turn the cotton brown/black. Repeat throughout the piece to identify which parts are zitan, and which are hongmu. Also, the grain of zitan is usually porous and twisted, and certain crops cuts of the wood will show zig zag growth rings (similar to the manner of rhino horn). Hongmu has less pores and a very strait grain. As for age, Certainly Qing, but without handling the piece, I'd just be guessing...there are some very fine Republic made copies of early Imperial styles. I did what you said with alcohol and a swap. It first turned black (i guess from the dirt accumulated over the decades) but quickly turned bright red. Could this be from an imperial palace? 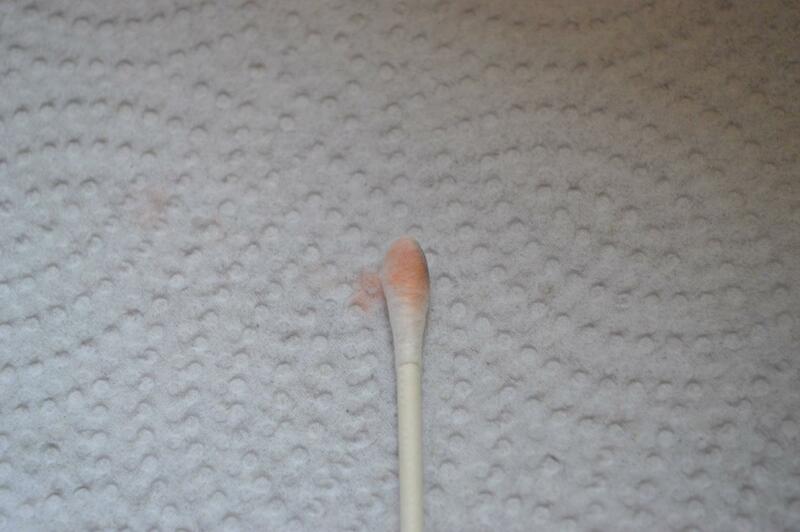 The Q-tip tells no lie - definately zitan! Imperial? Possibly, but not something I'd be willing to commit to. As mentioned earlier, Republic commemorative pieces were made with zitan which in design are indistinguishable from earlier imperial pieces without a physical inspection. 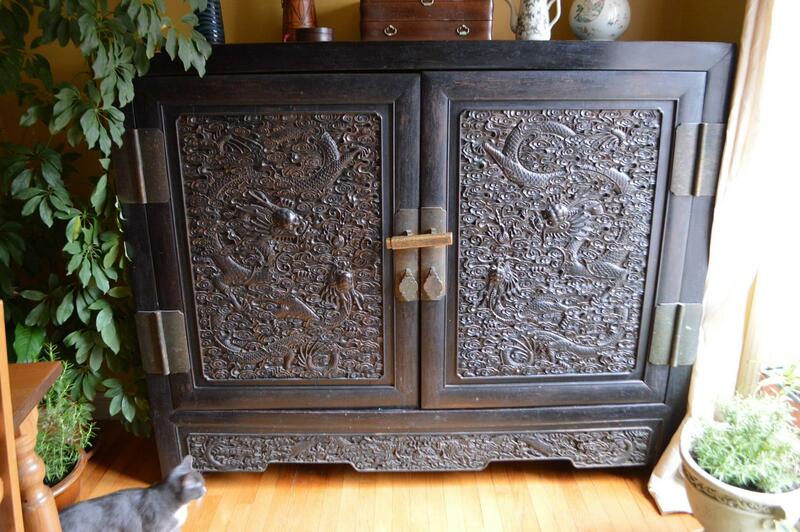 There is a similar one being auctioned via IGAVEL auctions Asian art sale # H3WA item # 5385639 described as a 'imperial Chinese zitan dragon cabinet.